Alumnae engagement is the focus of a new strategic plan created in partnership by the Alumnae Association of Smith College Board of Directors and the Smith College Board of Trustees. 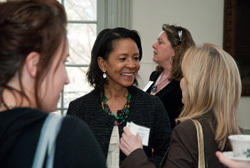 The plan provides new ways for alumnae around the world to connect with the intellectual excitement of Smith and the strong network of alumnae worldwide. The plan for alumnae engagement has its roots in surveys conducted in the past two years that asked alumnae what would make them feel more connected to the college and to one another. By and large, according to survey results, Smith’s engagement with alumnae is strong. In a recent survey by educational research firm Eduventures, 76 percent of alumnae reported a “very positive” attitude toward the college, and nearly as high a percentage of alumnae said they understand Smith’s goals and priorities. Nearly half of alumnae surveyed have attended a Smith regional event, such as Smith in the City or the Alumnae Association’s regional professional gatherings. Alumnae also gave favorable ratings to Smith’s communications. More than 70 percent of alumnae who responded to the Eduventures survey said they felt informed about what is happening at Smith today. 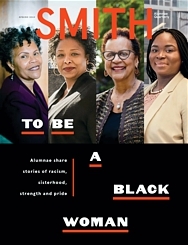 The Smith Alumnae Quarterly remains the most popular communications vehicle with more than 80 percent of alumnae saying the magazine is their primary source of information about Smith. E-mail messaging and “Notes from Paradise,” the e-newsletter for alumnae and friends of the Smith community, were also rated as particularly effective ways to reach alumnae. One notable finding was a desire among alumnae to move beyond traditional volunteer roles. Survey results indicate that alumnae want to become more involved with short-term projects and initiatives that address global diversity. They also expressed a need for more efficient online volunteer resources and technology support. Currently, staff at Smith are working to implement a number of priorities, including a retooled Reunion program and events geared to alumnae ten years out. President Christ is also in the process of hiring a new vice president for alumnae relations, who will also serve as executive director of the AASC.